At Texas Law, we prepare students for great careers at the highest levels of the legal profession and public affairs. We do it with the greatest classroom teachers in America, who train our students to think deeply about legal questions and solve sophisticated problems. And we do it with the finest and most extensive set of clinical programs anyplace, where our students help real clients with real problems under the supervision of world-class clinical instructors. All this learning takes place in a collegial culture, free from the cutthroat atmosphere sometimes associated with top-tier schools. All this is why the University of Texas is the best place in the country to be a law student. 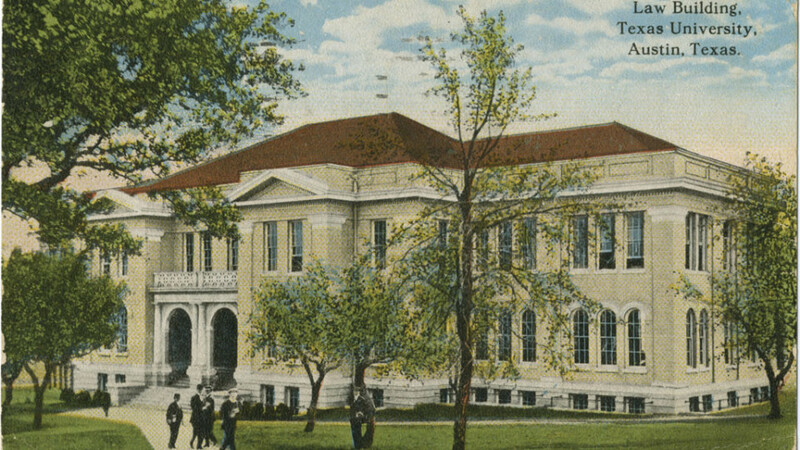 The University of Texas School of Law began as The University of Texas at Austin’s Department of Law when the university was founded in 1883. The law school started with two professors and 52 students in the basement of the university’s Old Main Building. The school has since grown to more than 1,200 students and offers the Doctor of Jurisprudence (J.D.) and the Master of Laws (LL.M. ).